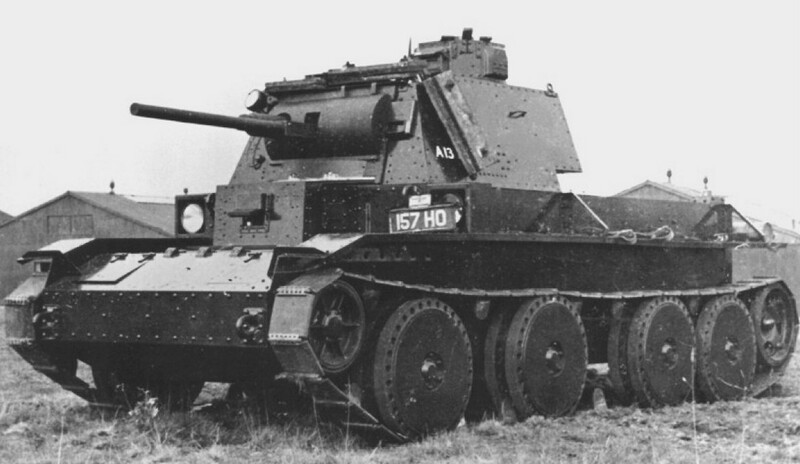 The cruiser tanks developed from 1937 onward in Great Britain had been developed for speed. The only practical solution at the time for this was a brand new type of suspension. 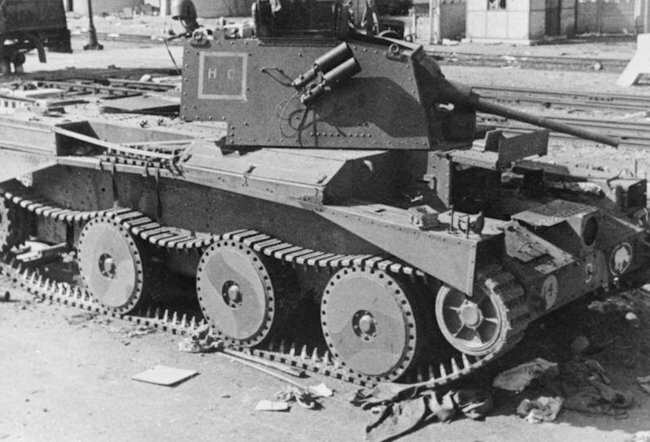 Already, in 1929, the father of the British tankettes, Lt.Col. Martel, favored a type of lightweight vehicle with a special type of suspensions which was refined by Carden Loyd. Their performance was impressive, but they could not fit the cruiser concept which demanded a sturdier type of suspension, yet offering the best performances. Another pioneer, American engineer W.J. Christie, had designed in 1929 a “race tank”, a convertible solution, marrying aspects of both the armored car and tank, and characterized by a brand new type of suspension. Until 1936, Martel, as an Assistant Director of Mechanization at the War Office, had followed its development in the US. He assisted, in the USSR, at the first large-scale military maneuvers of tanks with such a suspension. At the same time, he was searching for a comparable engine to the compact, yet powerful Liberty V12 engine. The British Government then authorized the purchase of the Christie license through the Nuffield Organization, which could also provide the engine. Morris Commercial Cars was then put in charge of completely redesigning the hull, considered too small and narrow, and addressing many issues previously left from the Christie M1931. Abandoned BEF British A13 Cruiser Mk.III tank B Squadron, 3rd Battalion, Royal Tank Regiment, 3rd Armoured Division, in France, May 1940. Nuffield Mechanization & Aero Limited was created with the purpose of making the design according to new army specifications, and was completely detached from the Morris Motors Company. 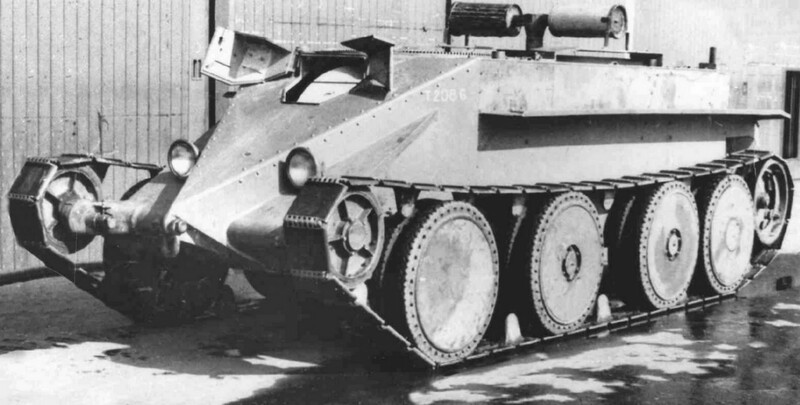 The first specifications, from 1936, asked for a 48 km/h (30 mph) speed, 30 mm of armor (1.2 in) and the standard 2-pdr (40 mm/1.57 in) gun. Later, the speed requirement was lowered to just 40 km/h (25 mph). Outside the Christie suspension, made of four very tall vertical coils, there were four massive rubberized road wheels. The original dual ride concept was abandoned and the tracks were of a standard pitched type, although shorter. The hull was widened with at least of 40 mm (1.57 in), modifications to the clutch and transmission were also performed for the engine, the powerful V12 Liberty, which could be started with compressed air or electrically. The turret was identical to the A9/A10 and riveted, but with a slightly revised commander cupola, with a larger hatch. However, the engine quickly overheated or broke down. 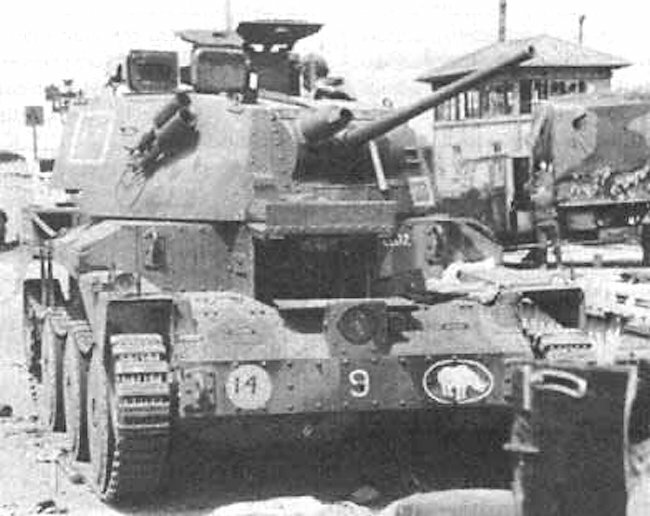 The A13E1, the first prototype, was delivered in October 1937, basically being the imported Christie tank. It was followed by the improved A13E2 and A13E3. A production order followed for 50 Cruiser Mk.IIIs, later extended to 65. 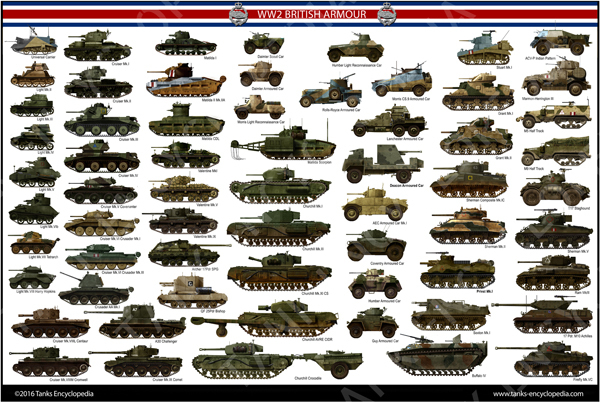 Deliveries started in December 1938 and ended in mid-1939, under army designation, Tank, Cruiser, Mk.III. Plans for a revised version had already started and led to the Cruiser Mk.IV. The only variant devised was the standard “Close Support” (CS) equipped with a 96 mm (3.78 in) mortar, firing smoke rounds. These proved useless in real conditions and the crews rushed to replace them with HE shells. 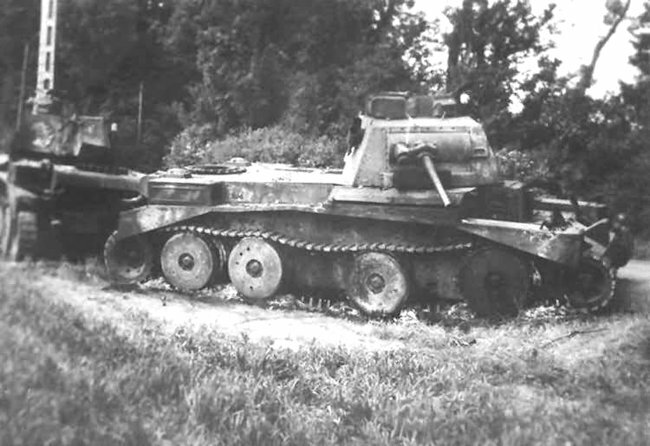 The A13 Mk.II (Cruiser Mk.IV) had thicker armor, a revised sloped turret and was mass-produced until the end of 1940. They first saw action with the BEF’s 1st Armored Division in May 1940. Many were lost during engagements with German armor, due to their lack of protection, and the rest were abandoned at Dunkirk. 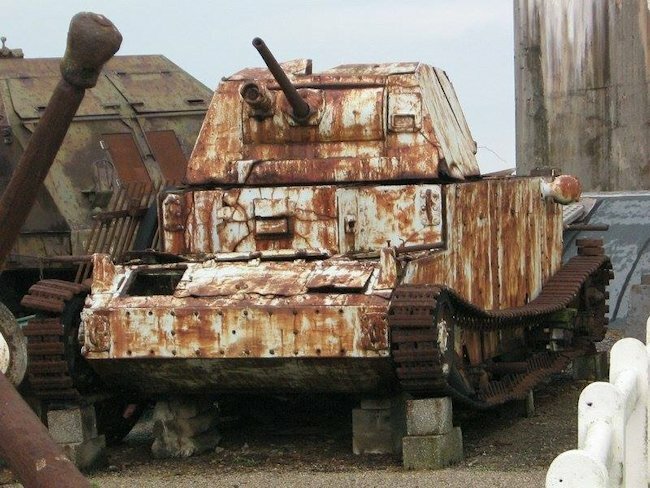 This A13 Mk.I Cruiser Mk.III was found in the sand at Dunkirk. Only the cupola was exposed as the tide went out. Over 70 years of salt water, exposure to the elements and lack of proper care did little to preserve the thin armor of this 1930’s cruiser tank. The armor plate was just rusting away. Others were part of the 7th Armored Brigade and participated in the early desert campaign in Libya and Operation Crusader (1940-1941), counting for half of its force. It seems that a few were also transferred to Greece and lost there. None have survived to this day. Cruiser Mk.III during the French campaign, B Squadron, 3rd Battalion, Royal Tank Regiment, 3rd Armoured Division, May 1940. 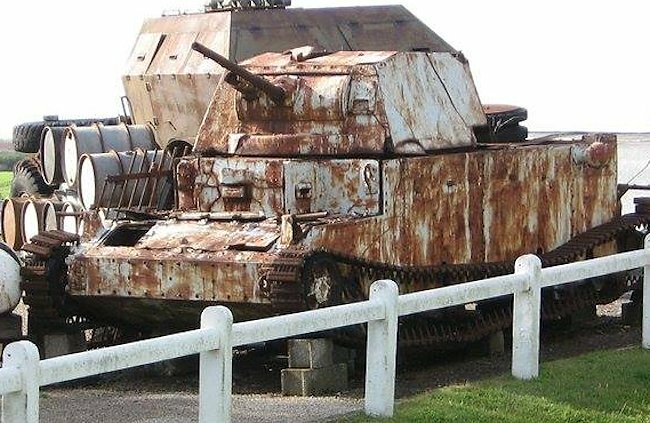 The last surviving British A13 Mk.I Cruiser Mk.III tank was cut up for scrap metal by its owners, the Musée du Mur de l’Atlantique Batterie Todt, Audinghen, Cap Gris Nez, France in the late 2000’s. It has been corrected, thank you for your help. As a tanker I have always loved the cruiser tanks. poor armor but nice to look at. This line confuses me. The A10 is a completely different tank with a completely different engine and transmission. What does A10 weight have to do with alleged engine flaws of the A13 series?